During camp we focus the campers on a different goal each week. The first week the goal for the campers is to improve social skills. 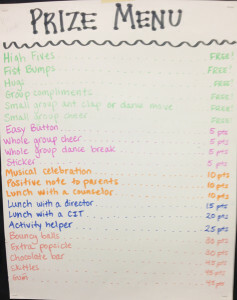 The second week the goal is to improve teamwork skills and self-determination. 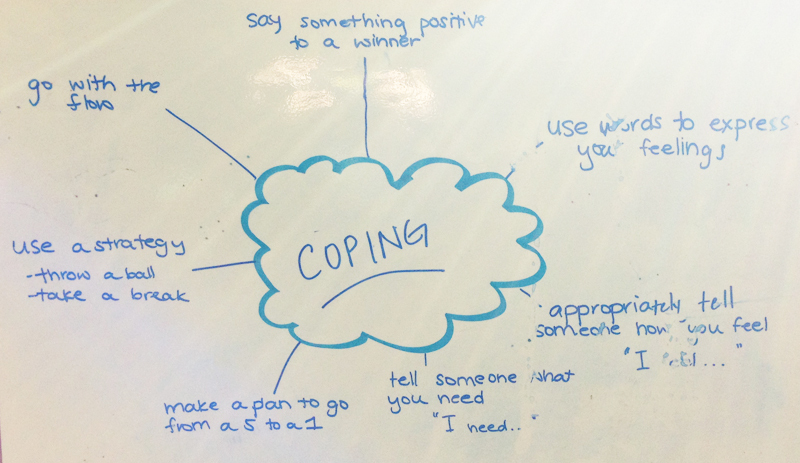 The third week the goal is to practice appropriate coping skills. Each morning small groups meet (during which counselors meet one-on-one with campers to help them set a personal objective that relates to the overall goal for the week.) and counselors pull campers aside one at a time and help them to set a personalized objective that relates to the overall goal for that week. The objectives are individually tailored from the above categories, identified by parents, staff, and then the campers themselves. Each objective is written in observable measureable terms. At the end of the day when the small group meets together again, the counselors (again meet one-on-one with each camp to evaluate how he/she did on meeting the objective.) will pull each camper aside again to evaluate how he/she did on her objective. Achieving one’s objective is linked to group incentives. Camp staff is trained in Safety-CareTm Behavioral Safety Training, a program that provides the skills and competencies necessary to effectively prevent, minimize, and manage behavioral challenges. Using the newest and most effective technologies from Applied Behavior Analysis (ABA) and Positive Behavior Interventions & Supports (PBIS), the Safety-Care program provides Attaway staff with strategies for not only preventing and managing behavioral challenges, but also teaches effective replacement behaviors.